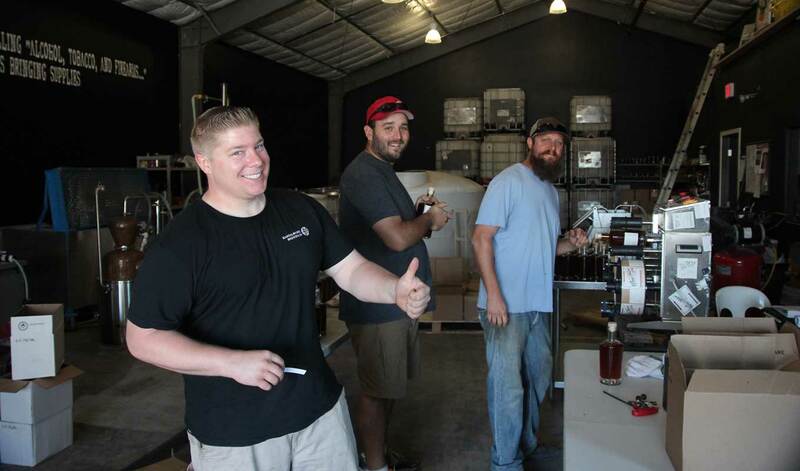 A new trend utilizing winemaking byproduct is catching on in wine regions across the nation. 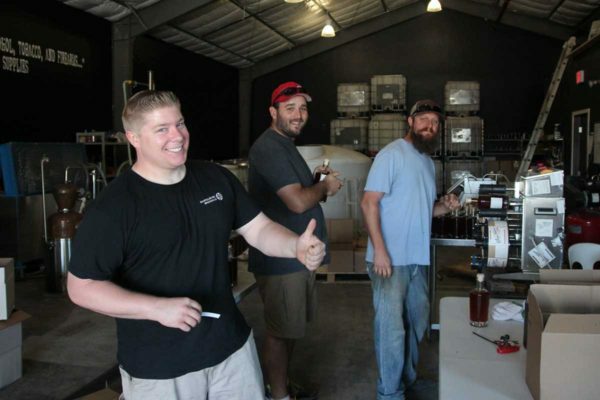 Several distilling operations have popped up in North SLO County over the last couple years that use the early bleed off of juice in red grape fermentation to make an awesome array of flavored hooch. 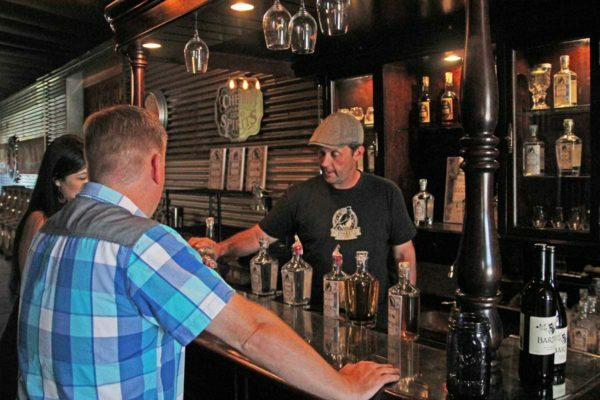 Paso Robles is one of the frontrunners in this new style of wine-based spirits- you’ve probably given it a quick thought already, but we’re talking so much more than the traditional brandy or grappa you may be familiar with. For bigger, more flavorful, concentrated red wines, vintners have been removing a portion of juice from fermentation vessels, called saignée, early on in the winemaking process clear back to pre-middle age times. Typically saignée is used to make rosé, or it’s discarded since a winery only practically wants to make what can be sold in a year’s cycle. Fine brandy is typically made from fermented white grapes, and barrel aged to add flavor after distillation…but like so many disciplines in the wine game, there are a million variables every which way. The flavor profile of our local finished product has a super subtle grape imprint, which parallels that of other fermented organic matter used in other types of mash: grain, potato, apples, rice, and so on. Another flavor variable is one or two times through the still. The liquor that comes forth in no way resembles traditional brandy you buy at the liquor store, or the ham-fisted palette crush of grappa- is grappa an acquired taste? There’s a Viognier grappa soon coming from Steve Glosner’s Pendray’s Distillery that deserves a taste absolutely for sure! Grappa is made from pomace- the skins, pulp, seeds and stems left after pressing, then distilling off the remaining alcohol that wasn’t completely pressed out, whereas saignée sits at the top of the grape byproduct hierarchy. The Flavors: Ranging from ginger-lemon, neutral brandy, French and American oaked brandy, oaked cinnamon, burnt orange peel French oaked brandy, lemoncello, mango-ginger-black pepper corn, to hibiscus-lemon, and vermouth, there is also an endless stream of flavoring ideas in the pipeline across the board. 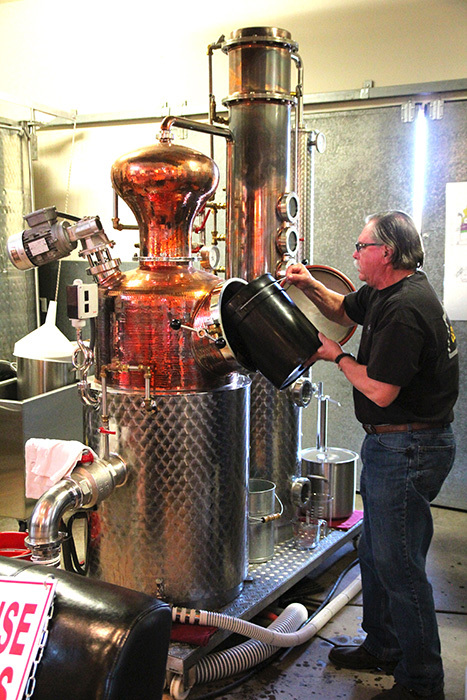 Vodka, and gin in traditional and cucumber infused styles are labeled as brandy at the distillery. Outside the distillery they bear their familiar industry names, although made with non-traditional ingredients. Krobār’s real rye whiskey has garnered instant fans and acceptance. The Gear: One of the most entertaining facets of this new trend is the different types of stills used and their place of origination. 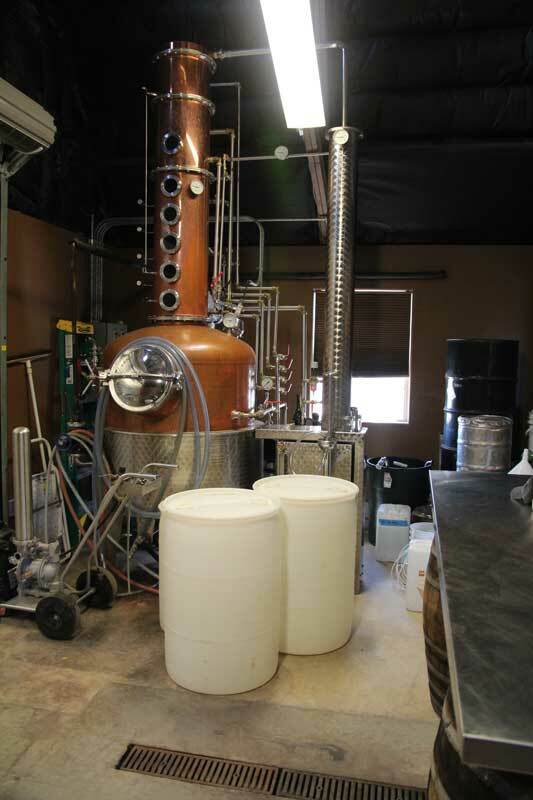 Most popular among the bunch is the alembic pot still (think old time alchemy), but you’ll find hybrid column stills, and continuous stills among the group, with shapes and sizes of stills varying at each winery/distillery. 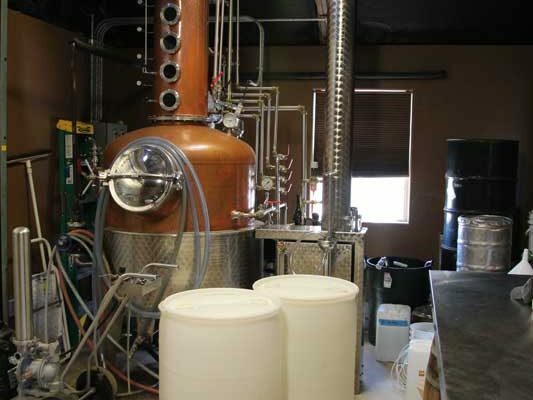 Along with super interesting explanations of how each works, you’ll also find the many fascinating stories of how each distiller came to source their equipment from the manufacturer. 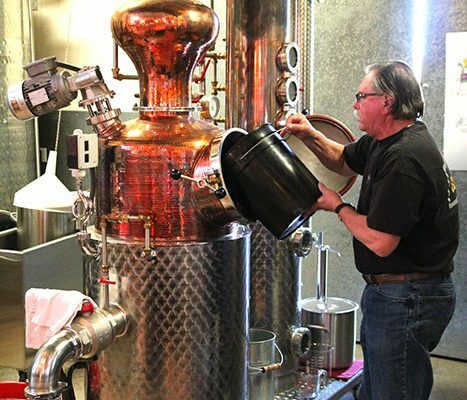 While most of the stills are imported from Europe (Germany being the most popular), some chose good ol’ tried and true American made- all very interesting. 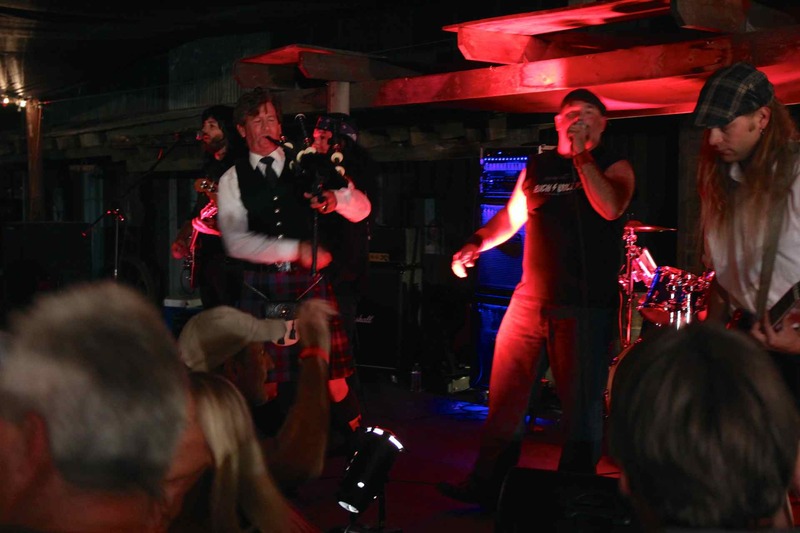 Here’s a list of where they’re happening: RE: FIND Distillery at Villicana Winery, Pendray’s Distillery at PasoPort/Per Cazo Wine Company, Wine Shine at Tin City, Red Soles Stillhouse at Red Soles Winery, Krobār at Grey Wolf Cellars, with Bethel Road Distillery across from Castoro Cellars, and the Distilery at Opolo. Local vintner Austin Hope’s Highspire rye whiskey is made in Kentucky using his California wine barrels- find it at BevMo. 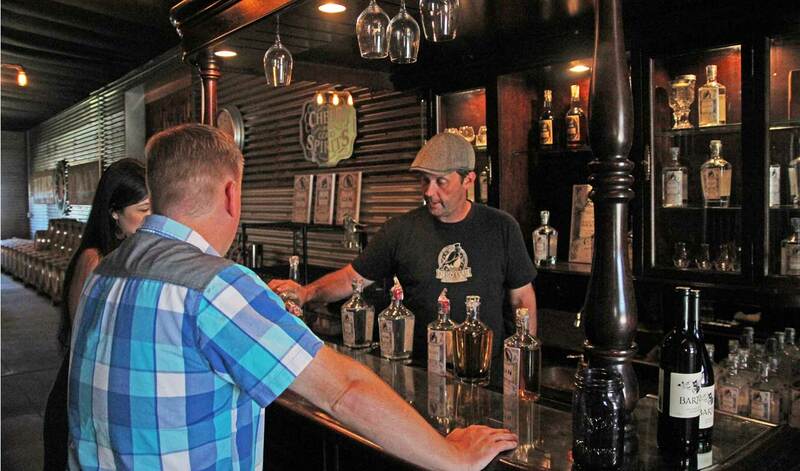 There’s also a Paso distillers trail that’s offered by the Distillers of SLO County. One Last Thing: Alcohol runs 80 proof (40 % alcohol) to 90 proof (45%) depending on type of spirit. Spirit tastings are charged separately from wine tastings, and take place in a separate room to satisfy Fed and State regulations.